Super Conductive! 1000 x More Conductive than any other Genuine Cotton Earthing Product – Empower and Enhance Your Sleeping-Earthed Experience to the Ultimate Level Ever! This is a highly conductive Earthing/Grounding Product, providing far more Earthing benefits than Earthing Pillowcases made of cotton with silver yarn interwoven therein! At LESS that 1 Ohm Resistance, this revolutionary Pillow Case is thousands of times more conductive, and thus effective, than any other Earthing Silver Yarn Pillowcase Product. Can be used under your cotton pillowcase or with direct contact. Machine washable. Can also be used without Leads by laying on top of an Earthing Sheet or Deep sleep Mat that is already Earthed! Can also be used (with Pillow) under the knees, calves, ankles or feet, or laid over the tummy or chest – or however, intuitively you see fit – to treat specific areas of the body to reduce inflammation, pain and support homeostasis. A truly amazing Product! Always read Earthing Considerations before purchase. Reconnect with the MORE of the Earth’s energy by sleeping on the Grounded Beauty Pillow and feel the stresses of life slip away as you drift off to sleep allowing the body to carry out Homoeostasis without having to waste valuable energy! It is good to wash your Earthing® product. It will not be harmed by washing, in fact, it is beneficial. Washing in warm water strips body sweat and natural skin oils from the silver keeping it conductive. When needed hand wash the bands in warm water with a mild soap. Air dry only. Do not use the bands on parts of your body where you have applied any creams and lotions, as these substances can reduce conductivity and oxidize silver fibers. It is good to wash your pillowcase. It will not be harmed by washing, in fact it is beneficial. Washing in warm water strips body sweat and natural skin oils from the silver keeping it conductive. Bleach, lotions and oils can tarnish the silver rendering it nonconductive. Fabric softener builds up on the silver and also ruins its conductive properties. It is advised to wait one hour to use the product after applying lotion to the skin. Iron using low heat. Bleach, body lotions and oils can tarnish the silver thread rendering it nonconductive. Fabric softener builds up on the silver and also ruins its conductive properties. 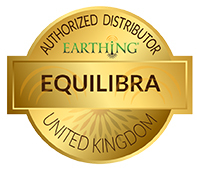 We offer a special Earth Bonding Plug (with all Pillow Cases ordered with UK Connection Kits ONLY) that will accept three (3) Earth Lead Connections, so you can Earth your Sheet and two Pillow Cases with just one (1) Earth Plug. So if you already have an Earthing Sheet or Cocoon, then you can still use one or two Earthing Pillows on your existing Earthing Sheet whilst still only using one Mains Earth Socket connection. You will not need any extra Outlets to Earth the pillowcases! 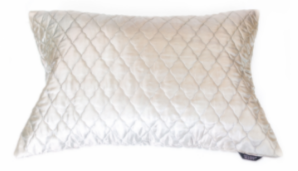 The Grounded Beauty Earthing Pillow Cases compliment all ‘sleep-earthed’ systems by directing Earthing to the upper back, neck, head, and sides of the face, as well as contributing earthing levels to the whole body. This enhances your Earthing experience whilst sleeping or resting. Can also be used as a Cushion and without Pillow for treating certain areas of the body.